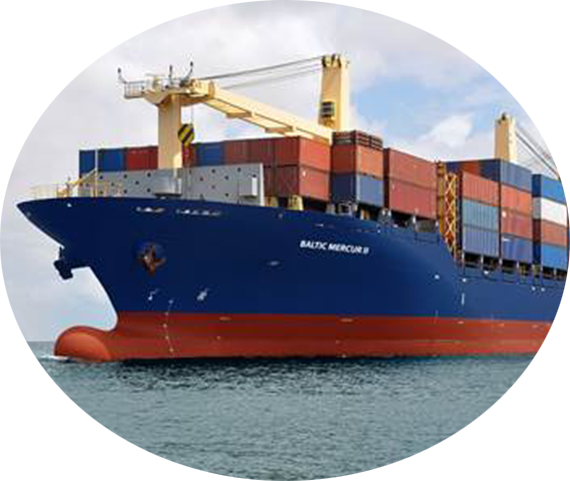 CSAL IS A NEWLY LAUNCHED, RAPIDLY GROWING SHIPPING COMPANY. Canada States Africa Line (CSAL) is a newly launched, rapidly growing shipping company offering direct liner service between Canada, U.S. East and Gulf Coast ports, and Southern Africa. The company was officially inaugurated and introduced to the shipping market in March 2008; however, the service had been in operation under different names and owners since 1956. Upon taking over the Line in 2008, CSAL began operating with two vessels and serviced the ports of Montreal and Baltimore in North America and a number of ports in Southern Africa. During the first year since its launch, CSAL doubled its fleet and expanded its geographical scope, calling at more ports on regular and inducement bases. Currently, CSAL operates a fleet of four multipurpose vessels offering a monthly service on its trade route. The regular ports of call are Montreal, Baltimore, Savannah, New Orleans and Houston in North America; Walvis Bay in Namibia; Durban, Richards Bay and Cape Town in South Africa. A number of ports, such as Tema, Ghana; Tamatave, Madagascar; Dar es Salaam, Tanzania and others enroute are supported on an inducement basis. CSAL’s direct service formula reduces trans-Atlantic transit time to 22-32 days, depending on rotation. Direct service in combination with careful planning and reliable scheduling allows the Line to avoid unnecessary transshipments and re-handling of the cargo, ensuring cargo safety, timely delivery and reduced costs. The Line employs Astrakhan Mark III type vessels. These ships are multipurpose tween-deckers, fitted with a stern ramp and heavy lift gear, providing versatility in handling different cargo combinations such as bulk commodities, break-bulk, ro-ro, hazardous materials, heavy lift and oversized cargo. All vessels operated by the Line are certified with the highest ice class, enabling a year-round operation in the St. Lawrence River. CSAL’s highly qualified team is committed to providing an efficient and personalized service to its valued clientele on both continents through a broad area agency network.